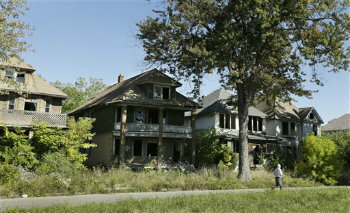 The federal money being directed Detroit’s way by the U.S. government totals more than $100 million and will be augmented with about $200 million more in resources from foundations and Detroit businesses, but it falls far short of the wider bailout some in the city had sought. Police Chief James Craig said Thursday he was in Washington a few weeks ago in search of federal resources for his department. “Our work together is critical in achieving our goals of making Detroit a safe city and providing the necessary resources in raising the morale of our most valuable asset, our people,” Craig said.